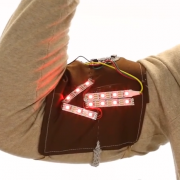 Building a muscle-riffic demo for conductive yarn! 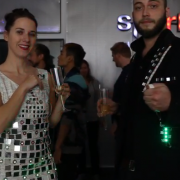 Spice up your fancy outfit with some flashy LEDs. 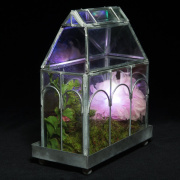 Have you always wanted to experiment with electroluminescence? 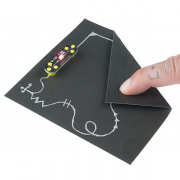 Check out how you can use conductive ink to draw your circuits!  Let's take a look at thermochromatic pigment. 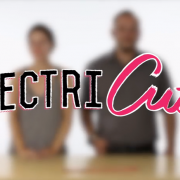 A new episode of Electricute, plus some changes on the wind! Exploring a new addition to the etextiles arsenal! 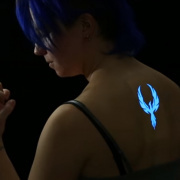 Check out today's edition of ElectriCute to build a light-up tattoo made with Elastolite. 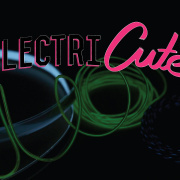 Check out a special holiday edition of Electri-Cute. 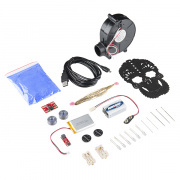 This installment of our new e-textiles how-to video series shows you how to incorporate LED string lights into your Halloween costume!